This year marks the 5th anniversary of the Soumac Awards, recognising the superb young talent and passion within the electronics and computer science industry. Every year, students from top Universities are invited to enter their innovative PCB or electronic projects into the awards, where judges are looking for demonstrations of technical knowledge and an innovative use of technology. As always, we were impressed with the high-quality of this year’s submissions, which all met the award’s brief of showcasing innovative hardware and software, tackling real world challenges. After much deliberation and debate, the judges at Soumac felt that one project stood out. 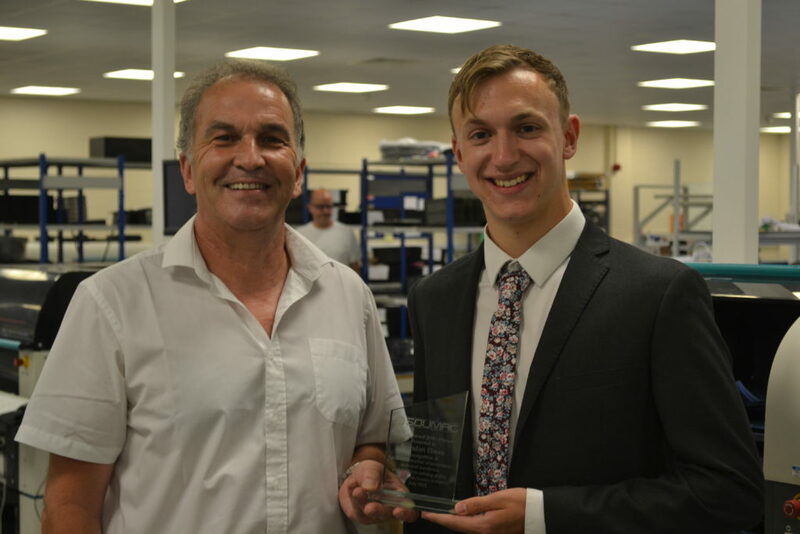 Therefore, we are pleased to congratulate our 2018 winner, Brendan Elmes, for his unique and low-cost, home-use Respiration Sensor. Brendan Elmes is studying a Masters Degree in Electronic Engineering (MEng) at the University of Southampton. He has a particular interest in medical technology, a developing industry, with the hope of positively impacting people’s lives in the future. Brendan’s winning project set out to reduce the burden on hospitals by enabling patient’s breathing to be monitored in a home environment. Brendan designed and created a light-weight, low-cost respiration sensor which doesn’t require skin contact and can be worn on light clothing. It was devised with the intention of home use, so that a medical professional would not be required place it on the patient. The device is worn on the clothing over the chest and is used to measure the respiratory rate within a fixed measurement time. Click here to see Brendan’s Respiration Sensor project in more detail. Brendan said his biggest challenge was finding the respiration signal within the waveform produced by the sensor. This was overcome by using signal processing, and made easier by the design of the sensor.